All Laughing Man Coffee K-CupPods Now Recyclable; Brand Celebrates Broadened Distribution and New Marketing Campaign with Double Donation to the Laughing Man Foundation. Laughing Man Coffee recently announced a brand refresh and new marketing campaign, “Make Every Cup Count,” to celebrate its mission to deliver premium coffee and give back to the farmers who produce it. Anchored by the national marketing campaign, Laughing Man® Coffee has unveiled an updated logo, revamped brand packaging, a new recyclable pod format, and expanded availability and varieties. In celebration of the campaign launch, for 30 days beginning March 12, every purchase of bag coffee and pods will result in a double donation to the Laughing Man Foundation and its efforts to support coffee-growing communities around the world. 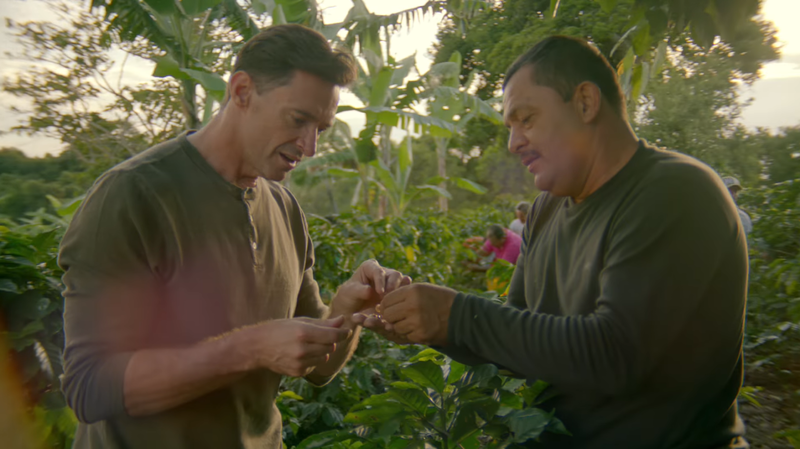 Laughing Man Coffee, part of the Keurig Green Mountain, Inc. (Keurig) family of brands, was founded in 2011 by award-winning actor Hugh Jackman following a trip to Ethiopia where he met a young coffee farmer named Dukale. Inspired by his perseverance and unwavering optimism, Jackman launched Laughing Man® Coffee to help improve the lives of coffee farmers, like Dukale. Jackman contributes 100% of his profits to the Laughing Man Foundation, an organization he created to support coffee farming communities and deploy programs that clear the way to health, growth and success for coffee farmers and their families. Investments are made in community-based programs, such as infrastructure, education and housing programs to complement the Fair Trade premium that farmers receive. As part of a continued commitment to sustainability, all Laughing Man® Coffee pods in new packaging are made with polypropylene #5 plastic, which is widely recyclable curbside throughout North America. In addition to recyclable K-Cup® pods, consumers can now purchase the brand in ground bagged coffee at a number of retail stores nationwide, including a new launch at Target, and at LaughingManCoffee.com. Consumers can also visit the Laughing Man Cafés, located at 184 Duane Street and 1 North End Avenue in New York City. All four varieties of Laughing Man® Coffee are made from premium 100% Fair Trade Certified Arabica coffee that is carefully harvested by hand.